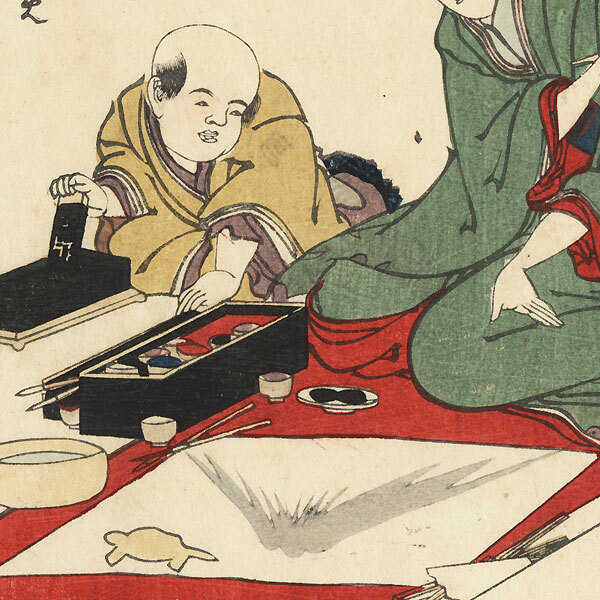 Comments - Charming surimono design of a beauty painting a scene of Mt. Fuji. 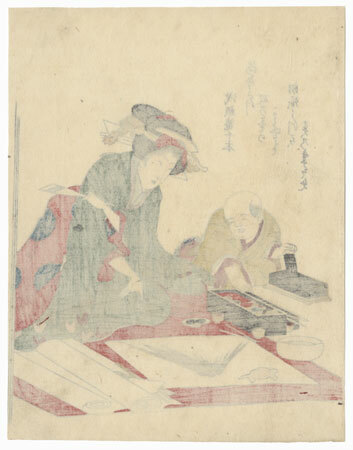 She pauses with a brush in hand to look at her work with a critical eye, containers of pigment and water on the floor nearby. 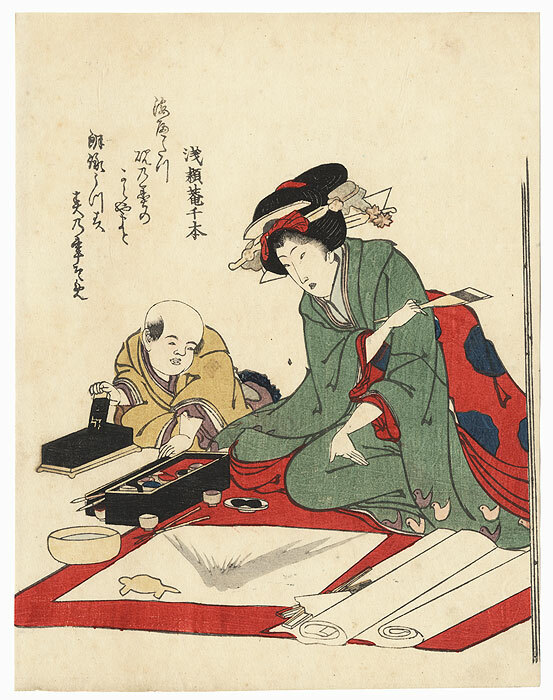 A young boy at left mixes ink as he watches the woman. Only the second time we've seen this attractive design. Image Size - 8 1/2" x 6 1/2"